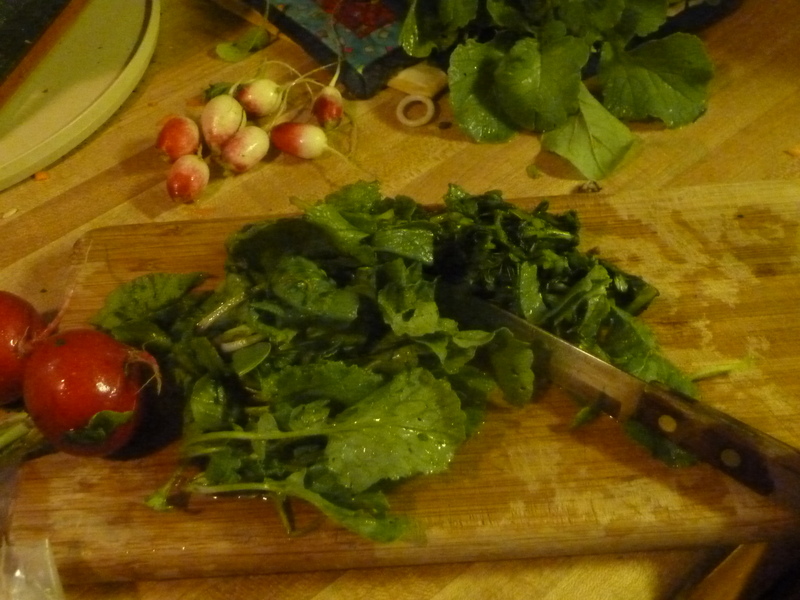 I’ve been harvesting radishes from the garden this week. 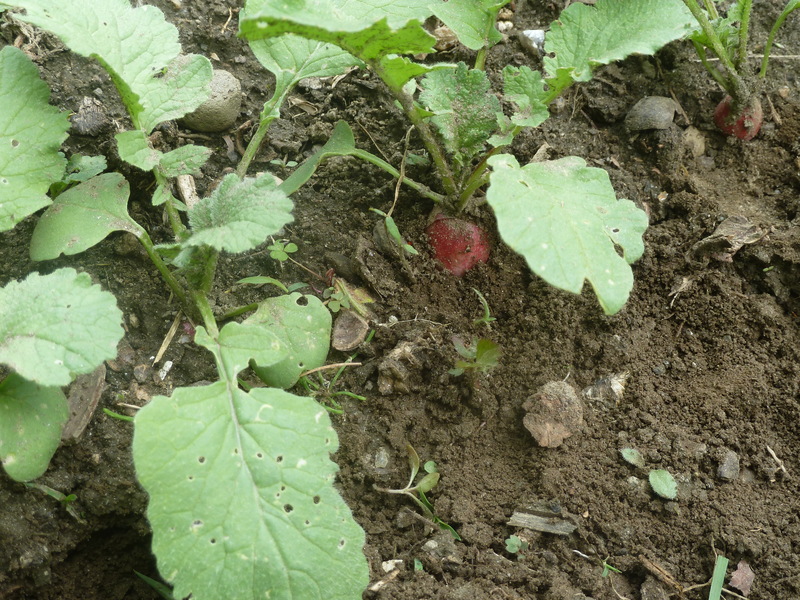 I planted two kinds – cherry belle and French breakfast, a small spicy radish. Mostly I just eat them as a snack right out of the ground, but sometimes I slice them up and make a sandwich with butter or cheese. In a small amount of olive oil, sauté 2 minced garlic cloves, one small chopped onion, ¼ teaspoon each ginger and turmeric, until the vegetables are tender. Add 1 ½ to 2 cups thinly sliced radishes. Cook for about 5 minutes, until tender. Add the leaves of the radishes – you can tear or slice them first – and cook for just a minute or two, until wilted. Serve with brown rice. I didn’t used to like radishes. I thought they tasted like dirt. But then I saw the light and realized that they actually taste like radishes – deliciously spicy and crisp. And they are nutritious as well as delicious. Radishes are high in vitamin C and are also a good source of B vitamins and minerals such as zinc and copper. 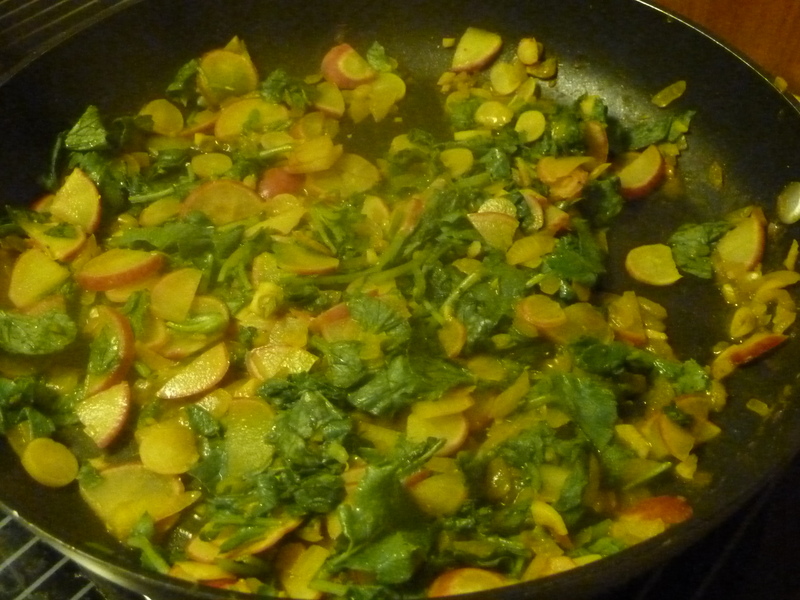 This entry was posted in food from the garden and tagged garden, radishes, recipes. Bookmark the permalink.